Looking for a loan? 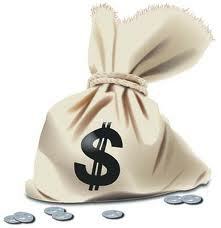 If so, you have a number of avenues from which to choose when selecting financing. However, some loans are better suited for, say, paying off debts, while others, such as home equity loans, can be a boon for you financially – that is, as long as you use the money to increase your home’s value. The following information will help you determine the best type of loan to select. A student loan often can be secured at a low interest rate, thereby making the financing very attractive to a serious student. Student loan costs should be carefully budgeted so you do not borrow more than you can afford to pay back. Some people use the financing to fund high-ticket items – not a good financial move to make. Use the money for big ticket purchases later when you land that higher paying job. Because of its lower APR, this type of loan is usually taken out to pay down credit card debts. The financing is often used, as well, to make home improvements. Just make sure that any improvement that is made will increase the value of your real estate. For instance, any rehabbing that is done to your bath or kitchen will usually elevate the worth of your property. However, improvements, such as home theater rooms or in-ground pools, are not the kinds of upgrades to consider if you want to elevate your home’s worth. Using this type of funding for those kinds of renovations will typically just cause you to acquire more debt. If you want to lower the amount you are paying monthly on you house payment, you may benefit by mortgage refinancing. However, be careful about lenders who try to lure you into signing a contract for a mortgage refinance without the closing costs attached. Don’t succumb to temptation as these kinds of “deals” typically come with a higher interest rate. If refinancing your property results in your paying a lower APR for a shorter length of time, then, by all means, consider the financing. Just don’t fall prey to the advertising. Look at the fine print instead. Car buyers can make a good many mistakes when they secure vehicle financing – errors that can impact the overall cost of the car. Not only should you consider the financing rate of the loan, you should be leery about any add-ons in the contract itself. Take time to peruse the fine print to see what fees may have been incorporated into the agreement. Reverse mortgages are workable for people over the age of 62, provided they can afford the high closing costs as well as can pay the total amount when it comes due. Should one of the partners in a marriage dies, the survivor must pay off the financing – all at one time. So, in order to make this kind of funding work, couples need to be in good health, have a sizable nest egg, and plan to stay in their property for quite some time. 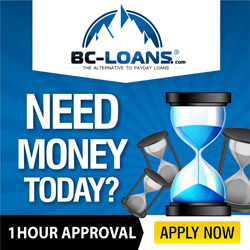 These kinds of loans are often utilized when an investor is involved in the wholesaling of real estate, or flipping a house. Newbies to the field should make certain that the homes they choose only need minor repairs rather than major renovations or additions. Start by getting your feet wet versus taking a plunge into the real estate pool.